U.S. Federal agency EXIM offers financial products that empower U.S. companies to compete with foreign competitors and win more international sales. 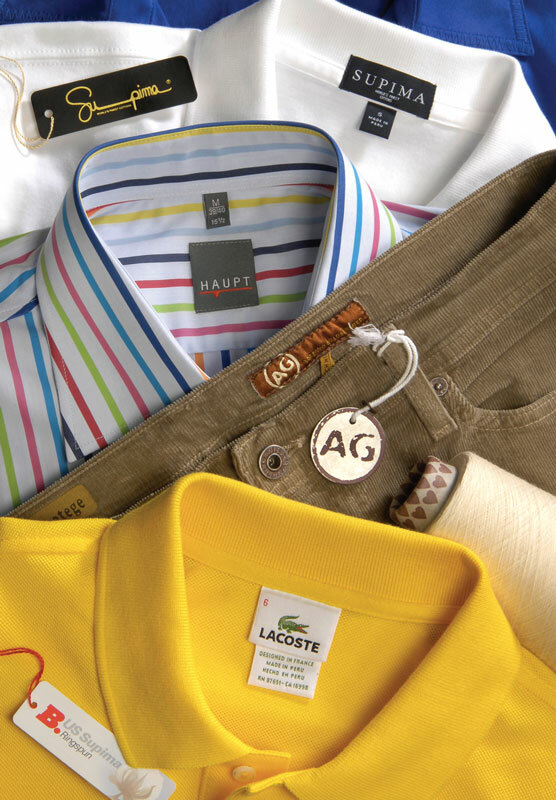 Textile and apparel companies across the United States are benefiting from exporting; it’s a great means of boosting the bottom line and growing a business. According to the Washington-based National Council of Textile Organizations, the United States’ exports of textiles and apparel accounted for $28.6 billion worth of economic activity in 2017. Exports have played a major role in pulling the U.S. economy out of recession, and it’s not just the major corporations that benefitted. The U.S. Department of Commerce reports small and medium-sized businesses with fewer than 500 employees represent almost 98 percent of U.S. exporters. Accessing more consumers and businesses — If a company is only doing business domestically, it may be limiting its potential profits by not expanding worldwide. It can also help in offloading excess production. Lowering unit costs — Exports help to put idle production capacity to work and improve efficiency. Spreading risk through geographic diversification — Exporting has parallels to a stock portfolio. When the domestic economy falters, the company may rely on other growing markets. Exporting can also minimize the effect of seasonal sales and prolong the sales cycle. Expanding the lifecycle of mature products — If the U.S. market is saturated with a company’s products, they can be sold in other parts of the world. 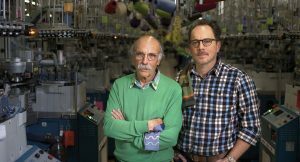 Savvy and strategic managers in the textile industry are boosting revenue by targeting the 95 percent of world consumers living outside the United States. They sell their wares across the North America Free Trade Agreement (NAFTA) and Central America-Dominican Republic Free Trade Agreement (CAFTA-DR) areas, as well as in Asian and European markets. While exporting is not new, many small businesses and corporate executives are still reluctant to sell overseas, or may be selling to just one or two markets they are comfortable with. Oftentimes, this is because exporting is perceived to be too burdensome or risky. Naturally, there are some complexities that come from exporting, including financial risk. Since there is little recourse for American exporters if overseas customers do not pay for goods already shipped, it is easy to understand why getting paid is the primary concern of U.S. companies selling goods and services into international markets. The good news is that help is available. There is an excellent solution to this concern of buyer nonpayment: the Export-Import Bank of the United States (EXIM). EXIM, a U.S. federal government agency, offers financial products that empower U.S. companies to compete with foreign competitors — many of whom have similar backing by their home governments — and win more international sales. EXIM’s export credit insurance is a popular product among U.S. exporters. The insurance policy protects foreign accounts receivable generated by the sale of goods and services from U.S.-based companies to international customers. The policy covers up to 95 percent of the sales invoice against nonpayment due to commercial — bankruptcy and protracted default for example — and political — such as war or insurgency — risks. Export credit insurance also improves textile companies’ competitiveness in the world market. While many American exporting companies resort to cash in advance to avoid nonpayment risk, most foreign competitors are able to offer open account credit terms, which are significantly more attractive to potential buyers. They expect credit terms and companies that are unable to extend credit may lose out on valuable opportunities. Export credit insurance empowers U.S. businesses to negotiate credit terms — typically in 30, 60 or 90 days — with foreign buyers up front, which is a powerful marketing tool and can be the competitive edge that wins deals. 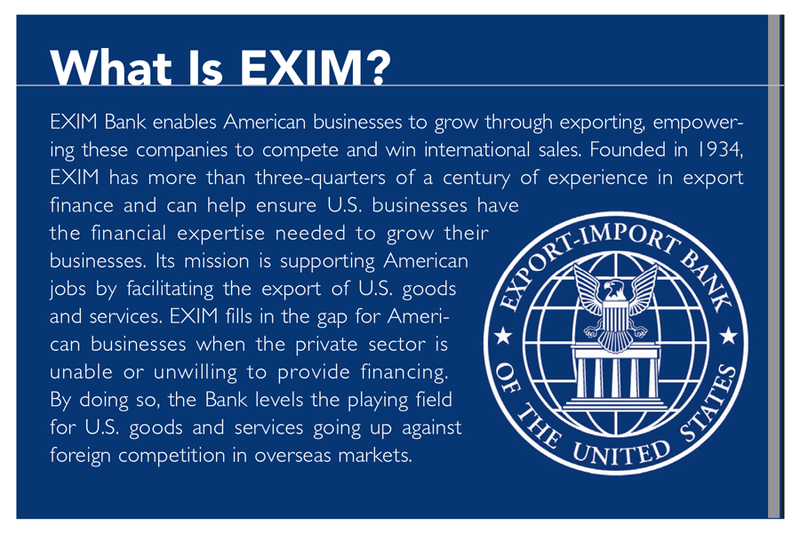 EXIM can cover a company’s entire portfolio of customers or a single buyer. In addition to reducing the risk of nonpayment and offering open account credit terms to foreign buyers, EXIM’s export credit insurance can enhance a company’s borrowing capacity by assigning now secured foreign receivables to a lender, improving liquidity and easing cash flow constraints. Between 2015 and 2017, EXIM has supported more than $253 million in exports of U.S. textiles and apparel to international markets, ensuring that American textile and apparel products can be worn around the world. The agency’s support is available to businesses of all sizes. In fact, small businesses comprise 91 percent of EXIM’s total authorizations, and no transaction is too small. Textile and apparel companies have used EXIM insurance to a great effect. Above: Marc Cabot (left), founder of Cabot Hosiery, and father of Ric Cabot (right), founder of Darn Tough Vermont — a company using EXIM’s export insurance program. Photograph courtesy of Darn Tough. Northfield, Vt.-based Darn Tough Vermont, a Cabot Hosiery Mills brand, already was exporting and offering its distributors 30-day open account credit terms, but two things were on their minds — inklings of potential problems with payment from one international source, and an upcoming trade conference to discuss deals with new distributors. With the protection of EXIM’s export credit insurance, Darn Tough Vermont representatives were able to negotiate payment terms with new international distributors, secure in the knowledge that the receivables were insured against nonpayment and covered for commercial and political risks. In addition, export credit insurance bought the management team peace of mind, knowing they had decreased the risk of payment problems from a potentially shaky partner. “Thanks to EXIM’s excellent export insurance program, Darn Tough Vermont is well on its way to achieving its goal of worldwide brand recognition and substantial growth in international markets,” said Steve Kelley, Darn Tough CFO. Right: Fashion brands use Supima cotton yarns produced by Buhler Quality Yarns Corp. in their garments. Buhler uses EXIM’s export credit insurance to sell on open account credit terms and protect itself from the risks associated with selling yarns to emerging markets in Central America. Photograph courtesy of Buhler. Ben Kaufman Sales Co. a distributor of towels and apparel to Caribbean countries, also has benefitted from EXIM support. With an EXIM export credit insurance policy, Ben Kaufman Sales mitigated the risk of nonpayment and eased the company’s initial concern about expanding into riskier international markets. Its foreign accounts are protected from potential losses that could result from an international business deal gone awry. As a result, exports now account for 20 percent of the company’s sales. EXIM can help companies of all sizes boost sales while protecting financial assets. Contact EXIM to learn more. Editor’s note: James Burrows is EXIM’s senior vice president, Office of Small Business. He has more than 30 years of professional experience in both the public and private sectors of the financial services industry, including commercial banking, retail banking and investment banking. For more information, visit exim.gov or e-mail exporthelp@exim.gov.